Zozulica is officially presented to public at Ukrinform news agency in Kyiv, Ukraine. Zozulica is a much talked project, which is nowadays competing to be named the Euro-2012 unofficial mascot. The competition results are to be announced by information centre Ukraine-2012 already this April. Zozulica is a revived clay bird-whistle, named and shaped after a cuckoo, which symbolizes rich historical heritage of Ukraine and its traditions rebirth…. 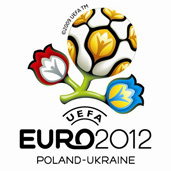 UEFA to give EURO 2012 final to Warsaw?